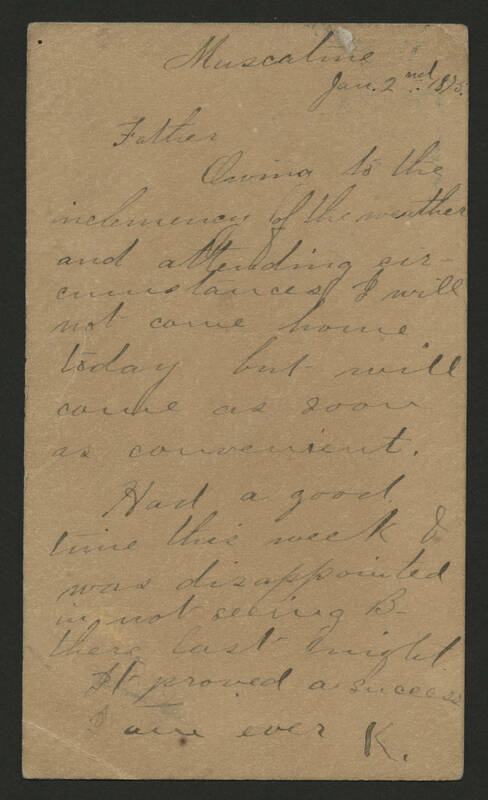 Muscatine Jan 2nd, 1875 Father Owing to the inclemency of the weather and attending circumstances I will not come home today but will come as soon as convenient. Had a good time this week I was disappointed in not seeing B. there last night. It proved a success I am ever K.